Nine years ago, the first Born for Broadway show took place in a small classroom at Marymount Manhattan College. Sarah Galli, a freshman performance student, organized the cabaret to benefit medical research for spinal cord injuries. Her brother became a quadriplegic after a diving accident in 1998, and Galli wanted to use theater to support a cause that had become important to her. Born for Broadway has grown since then. On May 21, the third annual benefit took place in a slightly larger venue: the American Airlines Theater on 42nd Street. 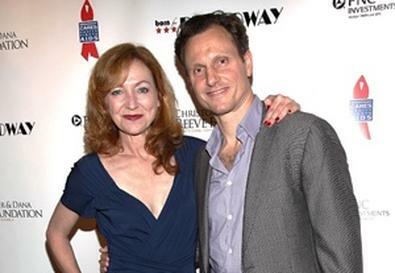 Hosted by Julie White and Tony Goldwyn, the evening featured 30 performers from Broadway and television. Before Galli launched Born for Broadway, performers were rallying behind the cause to find a cure for paralysis. When actor Christopher Reeve, famous for playing Superman in the 1978 film, was thrown from a horse and became a quadriplegic in 1995, the issue was pushed into the spotlight. Both Reeve and his wife, Dana, became advocates for medical research on spinal cord injuries, and their organization, the Christopher & Dana Reeve Foundation, transformed a dire field of research into one of hopeful innovation. The two organizations have teamed up for the past few years, and Monday night’s event benefitted the Foundation. For the benefit, Bohmer reunited with his former “Ragtime” cast members, Robert Petkoff and Christiane Noll, to perform “Journey On” from the show. Like many of the evening’s other performers, he emphasized the importance of combining theater with philanthropy, especially, he said, as television shows like “Glee” and “Smash” have pushed Broadway into the mainstream. Despite the comedy, Rosen didn’t forget the night’s ultimate meaning. Having participated in the benefit once before, he said that one of the most extraordinary things about Born for Broadway is how it includes performers with paralysis. “Best use of a song from ‘Smash’ ever!” said White when she returned to the stage. In between performances and jokes, presenters discussed the accomplishments of the Christopher & Dana Reeve Foundation and thanked the audience for supporting the cause. Galli was, for her part, ecstatic about the evening. With white-blonde hair and a shimmery dress, she seemed thrilled by Born for Broadway’s success. And she certainly didn’t forget where it all began — her brother came to the event as well.